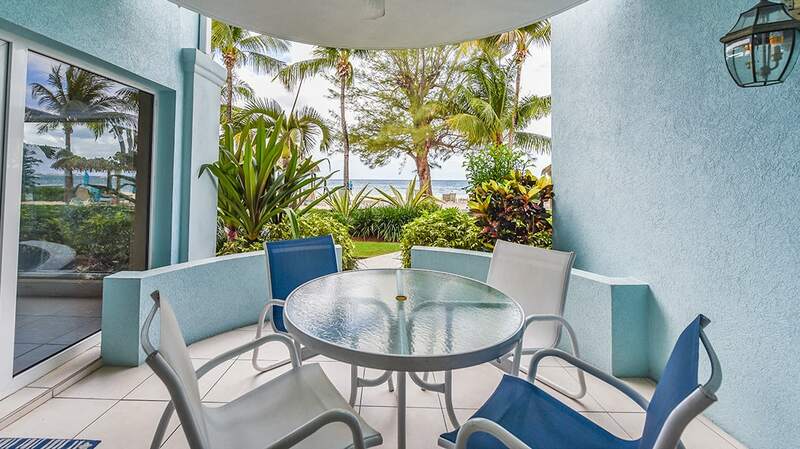 Step out of your suite onto Seven Mile Beach, one of the most spectacular beaches in the world. 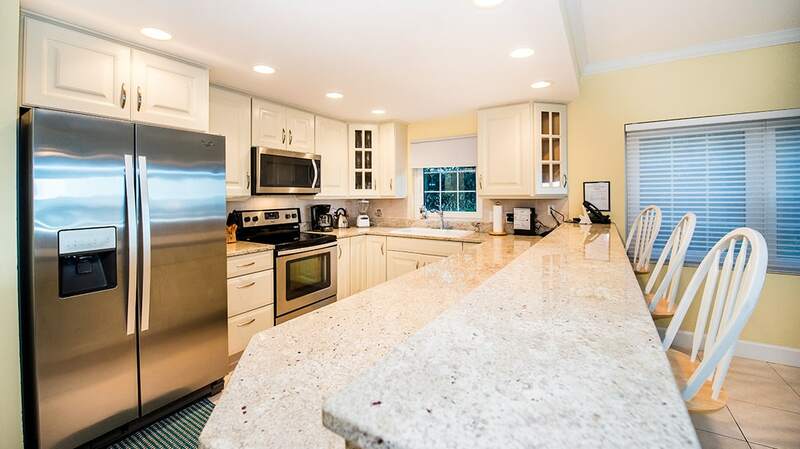 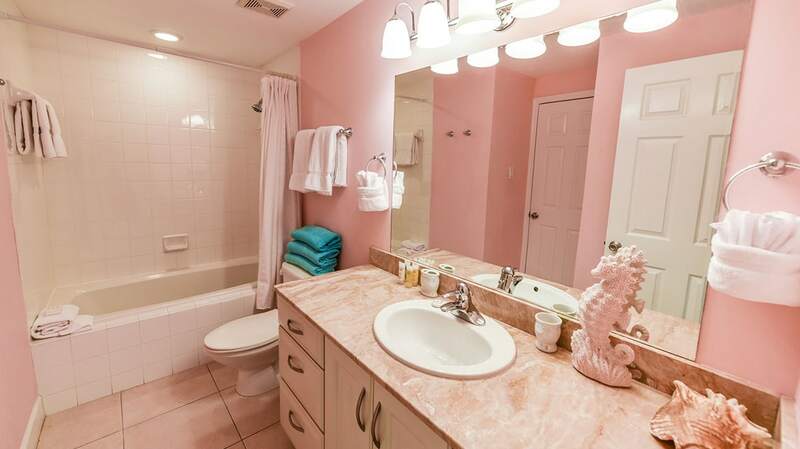 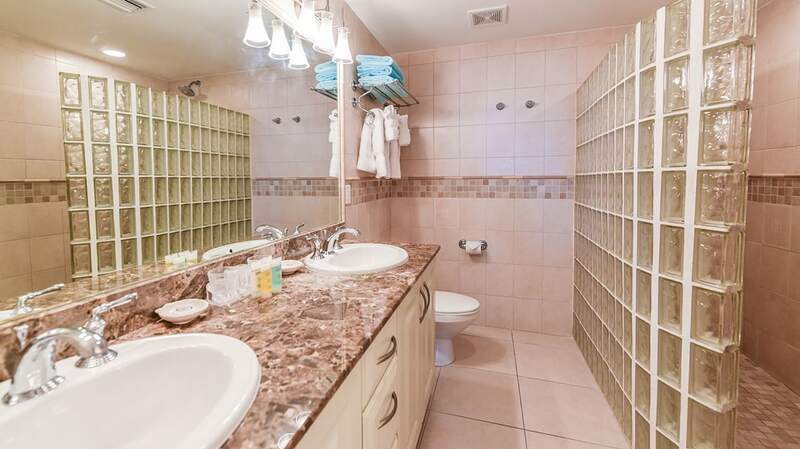 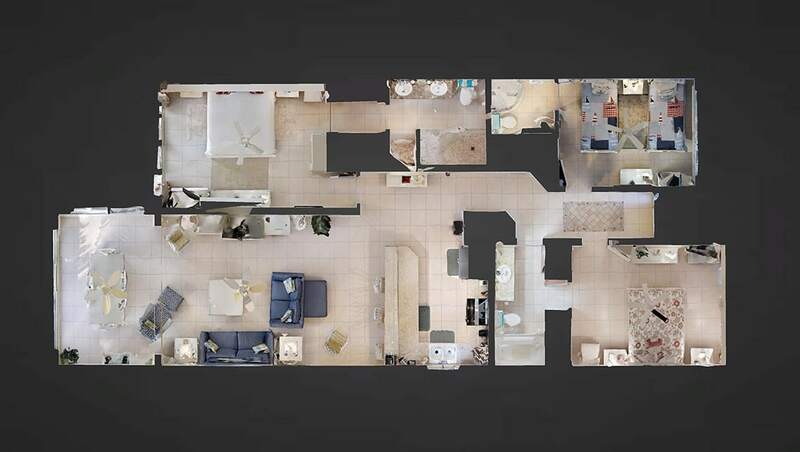 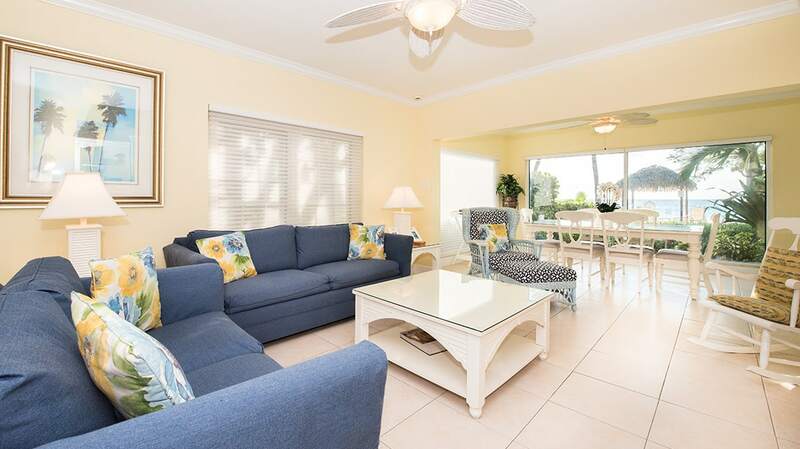 This is a bright 1,800 square foot three bedroom and three bathroom ground floor luxury condo. 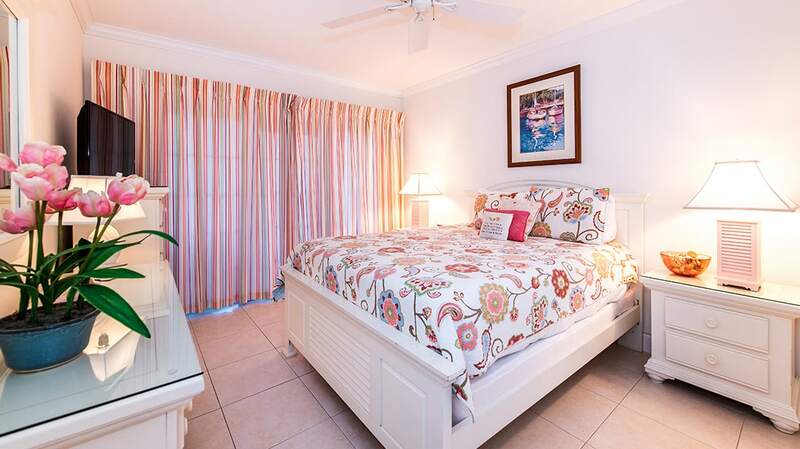 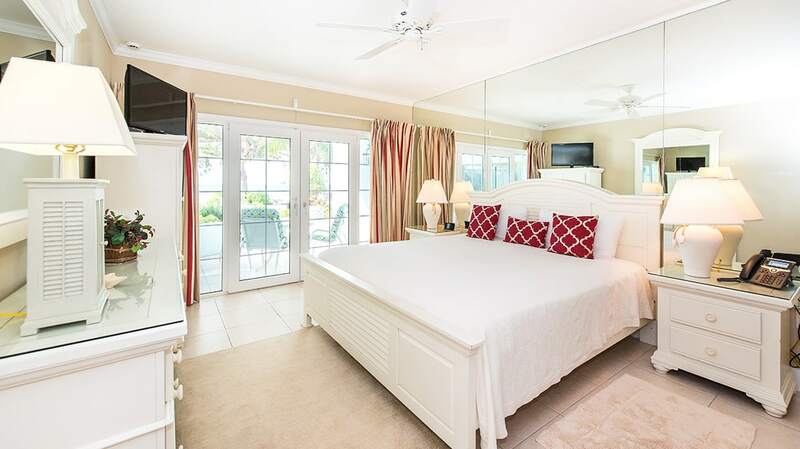 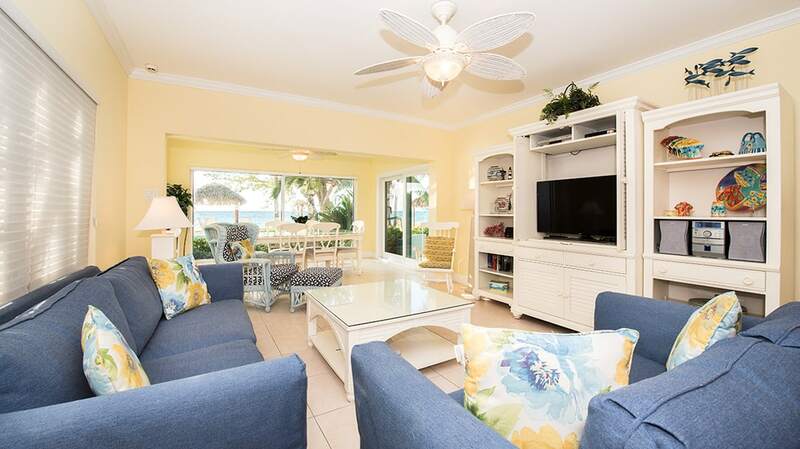 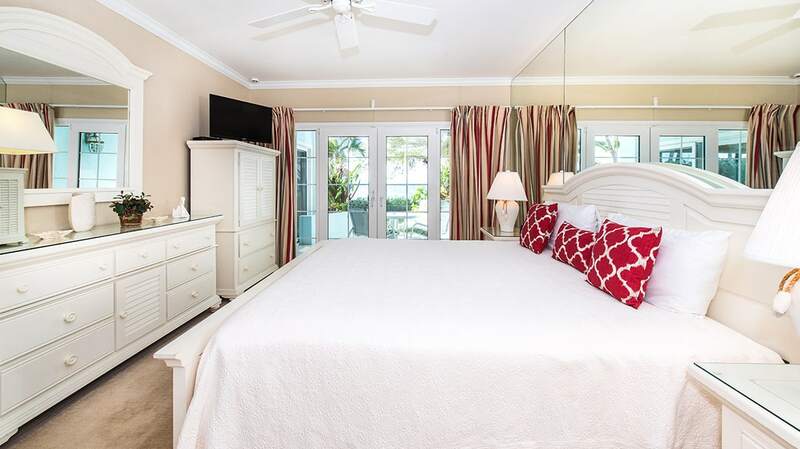 This elegant Grand Cayman accommodation features a master bedroom with king bed, a guest bedroom with a queen bed, and an additional guest bedroom with two twin beds. 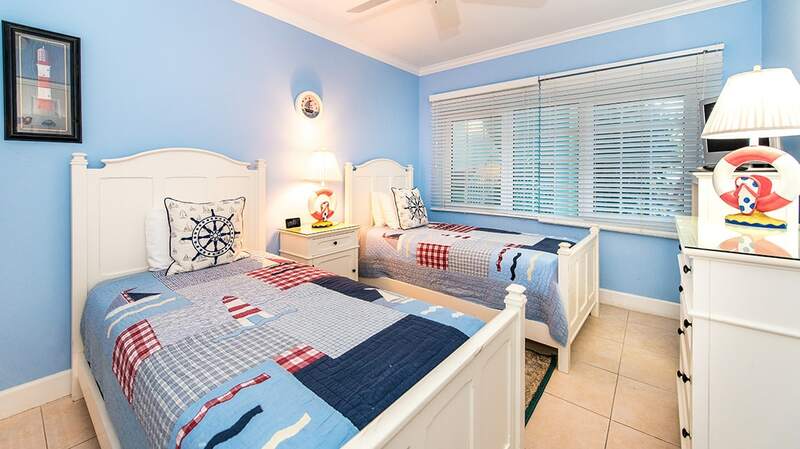 With its Caribbean blue and white finishes, high-end furnishings, and comfortable bedding, this condo will make you feel right at home.